The debt ratio is expressed as Total debt / Total assets. The debt ratio measures the firm’s ability to repay long-term debt by indicating the percentage of a company’s assets that are provided via debt. Debt ratio = Total debt / Total assets. The higher the ratio, the greater risk will be associated with the firm’s operation. goodwill: Goodwill is an accounting concept meaning the value of an asset owned that is intangible but has a quantifiable “prudent value” in a business for example a reputation the firm enjoyed with its clients. Ratios generally are not useful unless they are benchmarked against something else, like past performance or another company. Thus, the ratios of firms in different industries, which face different risks, capital requirements, and competition, are usually hard to compare. Debt: Debt ratio is an index of a business operation. Debt ratios measure the firm’s ability to repay long-term debt. It is a financial ratio that indicates the percentage of a company’s assets that are provided via debt. It is the ratio of total debt (the sum of current liabilities and long-term liabilities) and total assets (the sum of current assets, fixed assets, and other assets such as ‘goodwill’). The higher the ratio, the greater risk will be associated with the firm’s operation. In addition, high debt to assets ratio may indicate low borrowing capacity of a firm, which in turn will lower the firm’s financial flexibility. Like all financial ratios, a company’s debt ratio should be compared with their industry average or other competing firms. Total liabilities divided by total assets. The debt/asset ratio shows the proportion of a company’s assets which are financed through debt. If the ratio is less than 0.5, most of the company’s assets are financed through equity. If the ratio is greater than 0.5, most of the company’s assets are financed through debt. Companies with high debt/asset ratios are said to be “highly leveraged,” not highly liquid as stated above. 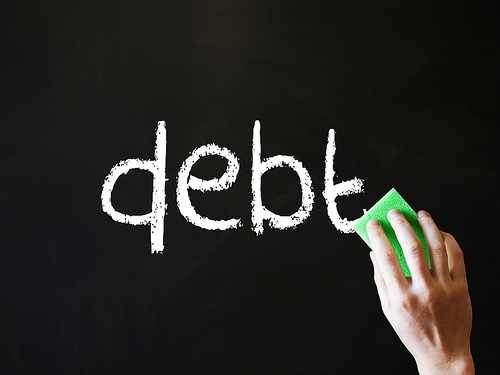 A company with a high debt ratio (highly leveraged) could be in danger if creditors start to demand repayment of debt. Times Interest Earned ratio (EBIT or EBITDA divided by total interest payable) measures a company’s ability to honor its debt payments. Times interest earned (TIE) or Interest Coverage ratio is a measure of a company’s ability to honor its debt payments. It may be calculated as either EBIT or EBITDA divided by the total interest payable. Interest Charges = Traditionally “charges” refers to interest expense found on the income statement. EBIT = Revenue – Operating expenses (OPEX) + Non- operating income. Times Interest Earned or Interest Coverage is a great tool when measuring a company’s ability to meet its debt obligations. Non-operating income: Non-operating income, in accounting and finance, is gains or losses from sources not related to the typical activities of the business or organization. Non-operating income can include gains or losses from investments, property or asset sales, currency exchange, and other atypical gains or losses. Times interest earned (TIE), or interest coverage ratio, is a measure of a company’s ability to honor its debt payments. It may be calculated as either EBIT or EBITDA, divided by the total interest payable. EBIT = Earnings Before Interest and Taxes, also called operating profit or operating income. EBIT is a measure of a firm’s profit that excludes interest and income tax expenses. It is the difference between operating revenues and operating expenses. When a firm does not have non-operating income, then operating income is sometimes used as a synonym for EBIT and operating profit. EBIT = Revenue – Operating Expenses (OPEX) + Non-operating income. Operating income = Revenue – Operating expenses. EBITDA = Earnings Before Interest, Taxes, Depreciation and Amortization. The EBITDA of a company provides insight on the operational profitability of the business. It shows the profitability of a company regarding its present assets and operations with the products it produces and sells, taking into account possible provisions that need to be done. If EBITDA is negative, then the business has serious issues. A positive EBITDA, however, does not automatically imply that the business generates cash. EBITDA ignores changes in Working Capital (usually needed when growing a business), capital expenditures (needed to replace assets that have broken down), taxes, and interest. Times Interest Earned or Interest Coverage is a great tool when measuring a company’s ability to meet its debt obligations. When the interest coverage ratio is smaller than 1, the company is not generating enough cash from its operations EBIT to meet its interest obligations. The Company would then have to either use cash on hand to make up the difference or borrow funds. Typically, it is a warning sign when interest coverage falls below 2.5x.